Our company is one of the leading supplier as well as exporter of USB DVD Drive. We are providing to our valuable customers / clients USB DVD Drive. We are one of the leading supplier of USB DVD Drive. 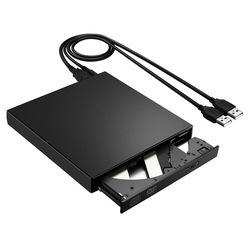 We are a well known supplier as well found ourselves emerged supplier of USB DVD Drive. We are a well known supplier of USB DVD Drive due to our products quality. "Variable geometry" of the Equator + cup ensures that the large press fit area establishes preferential peripheral loading while the reduced apical radial geometry prevents unwanted apical polar loading.